Let us help inform, please? I’m probably one of the few of your customers who does not blame you for the delays yesterday. There have been extreme conditions, which only happen one or two weeks a year, and dealing with several events, such as power-shortage and derailment due to mud, are not always as easy as some may proclaim. I do however blame you for the lack of information you provided during this chaos. 1. 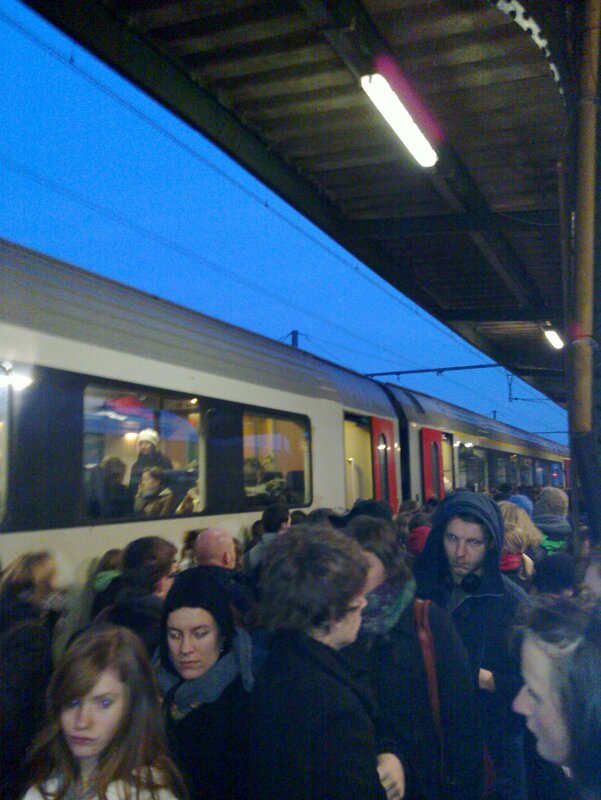 My sister, Lisa Colpaert, wanted, instead of going 30 minutes by bike, to go to school by train yesterday morning. It was the first time she planned to do that, and maybe if she would have found that a convenient way of traveling, she would do that more often in the future. 7:25: Lisa buys a ticket from her own money (she babysits) at the ticket office. 7:27: Other commuters inform her the train has been canceled. Will my sister get her refund (yes, from Harelbeke to Kortrijk is still a lot of money for someone who babysits once a week)? Has the NMBS decided in those 2 minutes, that the train got canceled? Why didn’t they and my sister know earlier? 2. I study in Ghent and I decided to return to Harelbeke in the afternoon. 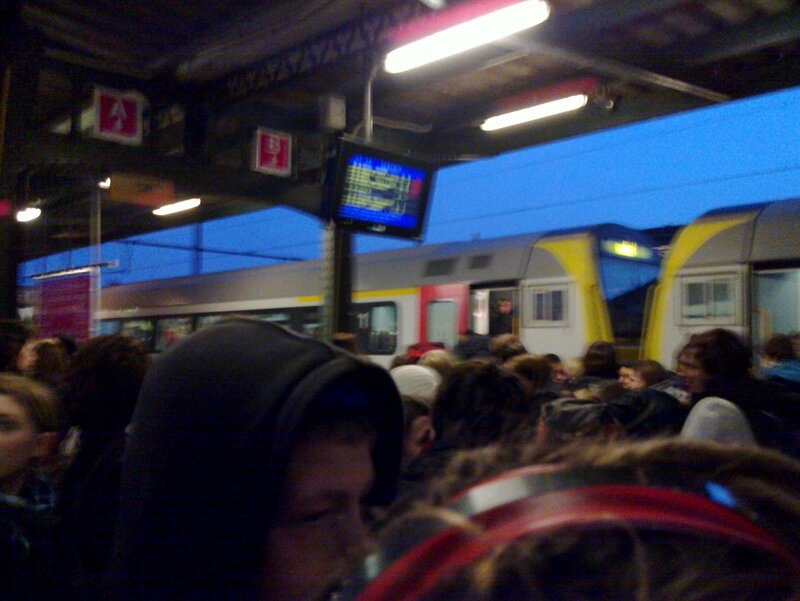 17:06: Train appears to be canceled. “Next train to Harelbeke,” the speakers shout, “is the train on plaform 5”, which normally would have arrived 16:55, but has a delay of 15 minutes. 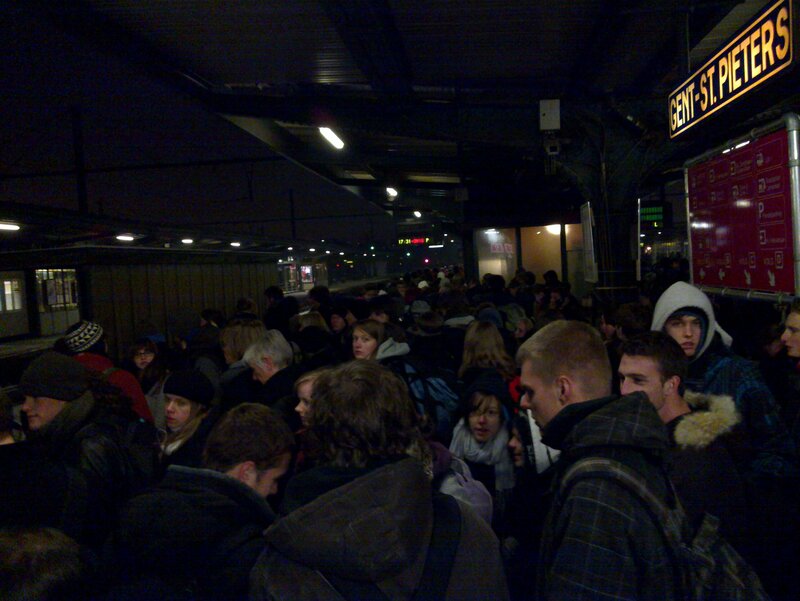 Immediately a lot of people started moving towards platform 5 because we had to get there in less than 4 minutes now. 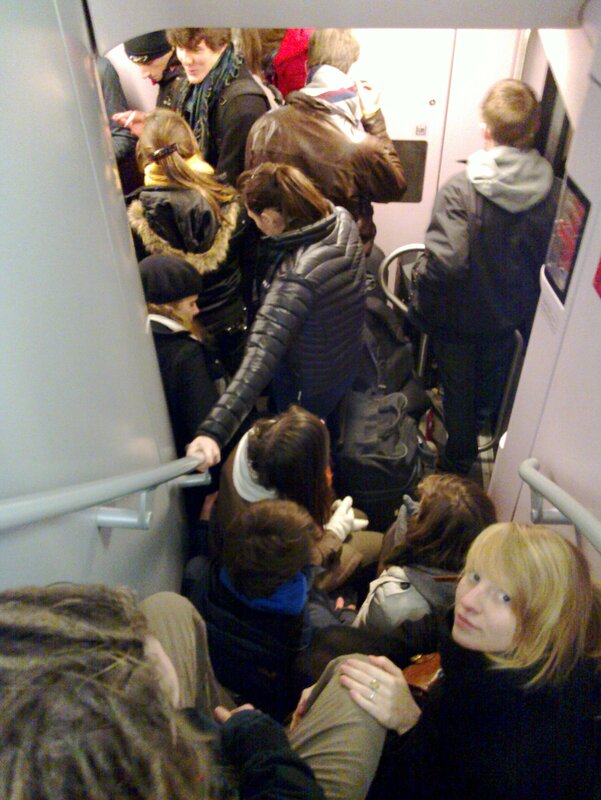 17:10: A lot (see picture) of people welcomed us at platform 5, where an already overpopulated train could not handle any more passengers. After finally surviving as one of the fittest while embarking a half hour later, we made it on the staircase of that train. I arrived home 1½h late, missing the family dinner. Of course I don’t tell you this because I want to keep people from commuting by train. To the contrary! With iRail we want to get more people using public transport and we want them to have a nice experience. This means of course we want to inform them as quick as possible about any delay and we want to give information about how populated a train is. We also want to do predictions of delays and research what trains tend be delayed regularly. Yes… but how can iRail help preventing these situations? I’d like to answer this question with other questions: Would I have left my place if I knew my train was canceled? Would I have left my place so early if I knew the next train had a 90% estimated chance of being delayed? Would I have gone to platform 5 if I knew the train was already too densely populated? So, all these features, we can do that for you! In fact, we are already developing this! For free! We are commuters, customers, public transport enthusiasts and we want these tools because we are confronted with it every day.